An engineer who writes, linked to a job as a technical content writer. How? The AMCAT Test! Another job search story, powered by the skill assessment test. 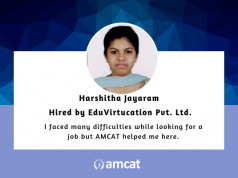 Learn how AMCAT helped this candidate in her job search journey. Aiming to convert your passion into a perfect job opportunity for yourself? It does happen for students who choose to power their job search by going through the AMCAT test. 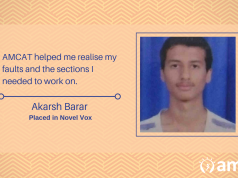 And today’s testimonial story represents such a case – linking an engineer who likes to write, to a position as a technical content writer. 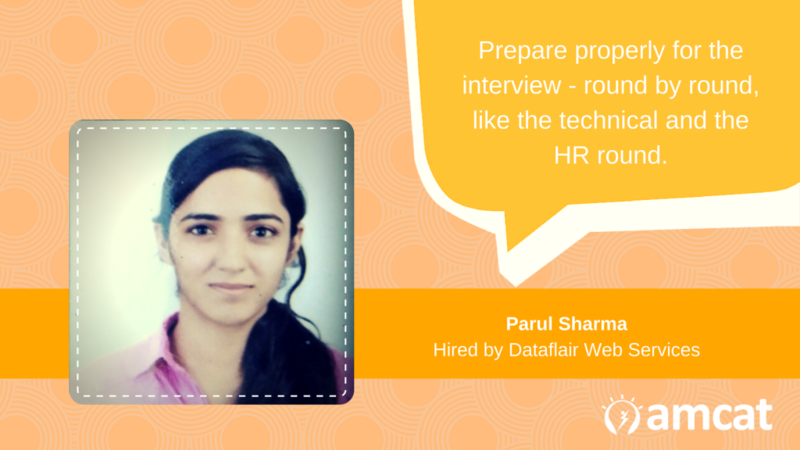 Parul Sharma cites herself as a person with good communication skills and leadership qualities. 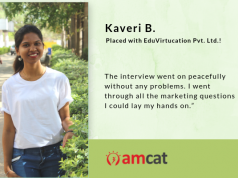 Wanting to be a writer, she took the AMCAT Test, because she reasoned it would increase the number of good opportunities she would receive on her job search journey. And it helped. She said that got her first job interview call right after the AMCAT test results came out. This was just the beginning and she received a large number of calls from different companies, including the opportunity that clicked perfectly for her; a position with Dataflair Web Services. Would she then, recommend the AMCAT Test? “Definitely yes! It helps people to gain information about different organizations and also you will get an opportunity to work in the desired domain. Any last tips for the AMCAT Test takers? Go through our piece on ‘What’s a good AMCAT score?’ and the AMCAT modules on ‘Cracking The AMCAT Test’. For interview help, we would encourage you to go through our section on interview tips. .
You can also prepare for your interview round, with our new product offering – Mock AI.